This next item isn't a card at all. 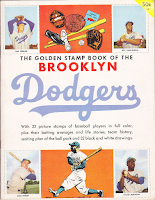 It's actually an stamp that is found in a book originally published by Simon & Schuster in 1955. 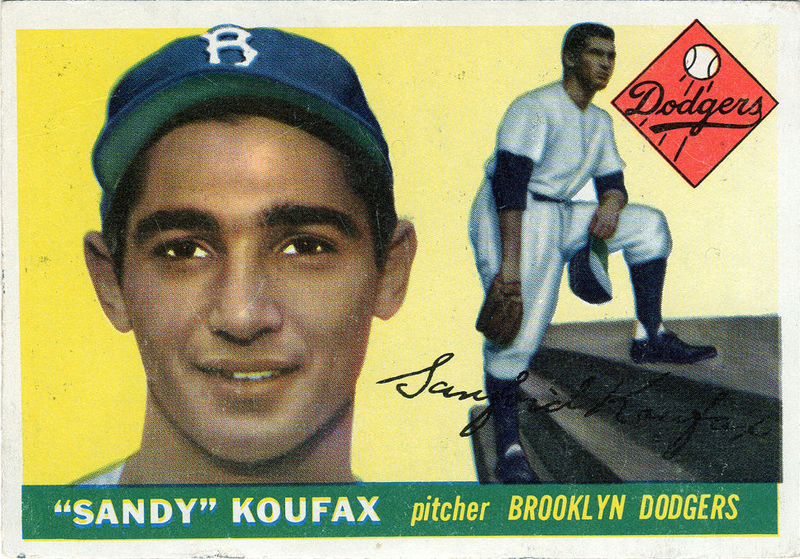 Above is the Koufax stamp. 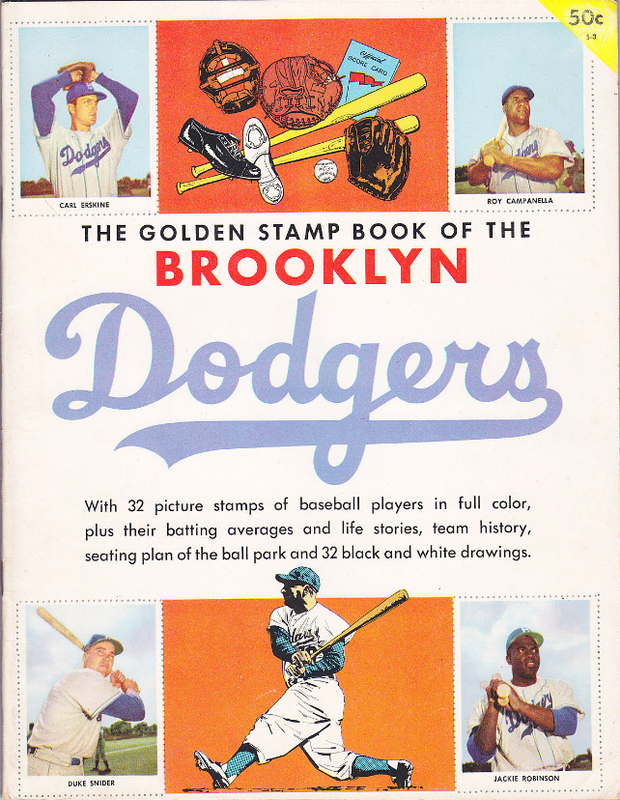 Below are pics of the front cover of the stamp book and the perforated complete page that includes Koufax on the bottom right. 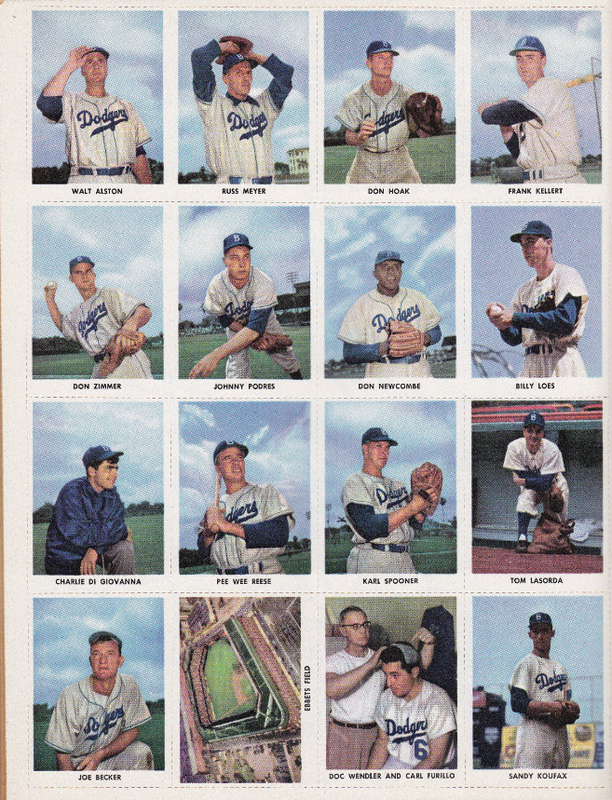 Do not confuse this set with the normal Jay Publishing picture pack of Dodger players that includes only 12 photos (not including Koufax) from 1956. 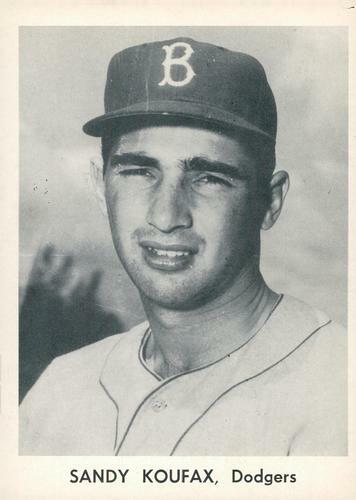 This particular Koufax photo (measuring 4.25" x 6.25") is part of an 25 player picture pack created for the upcoming World Series. 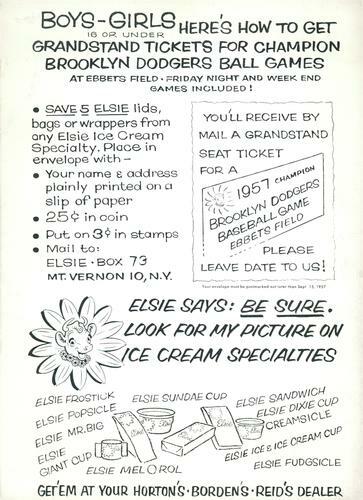 In their final season in Brooklyn, the Dodgers partnered with Borden's to offer grandstand seat tickets to those redeeming five wrappers from various Elsie-branded dairy treats. The offer was promoted on the back of what appear to be contemporary team-issued picture pack photos. 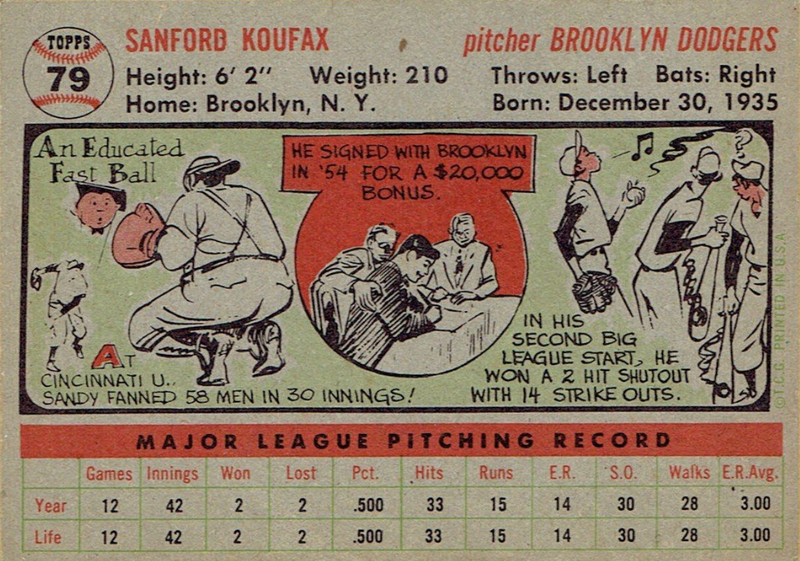 On the backs of the 5" x 7" black-and-white pictures is an illustrated advertisement providing details of the offer. This checklist is very likely incomplete. 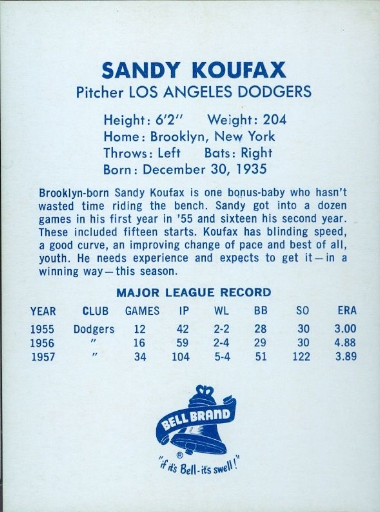 Below is a pic of the reverse. As I said above, I do not have a pic of the Koufax photo. If you happen to have a photo please pass it along. 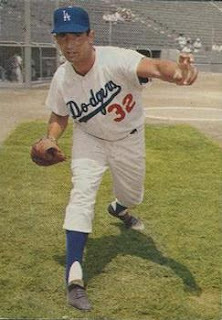 The Bell Brand cards were originally packaged in bags of potato chips and sold throughout Southern California. They measure 3" x 4". 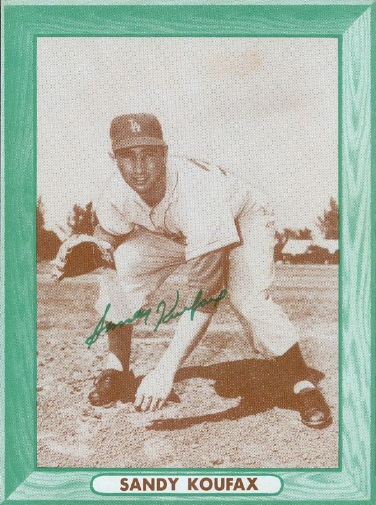 Following up on the success of the 1958 set, Bell Brand released a full color set of Dodger players featuring the LA Coliseum in the background. A postcard version of the Bell Brand card was also available for sale at concession stands. 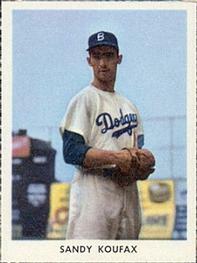 Also, a postcard photo booklet was created using the exact same image as the Bell Brand cards. 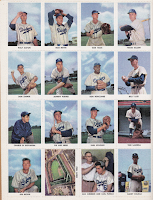 A pic of the actual booklet is shown below. Your first two images got flipped around. 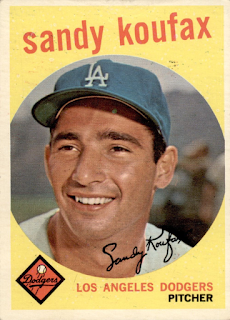 Yep, 55 and 56 topps got switched. Hi, what does #NNO mean? 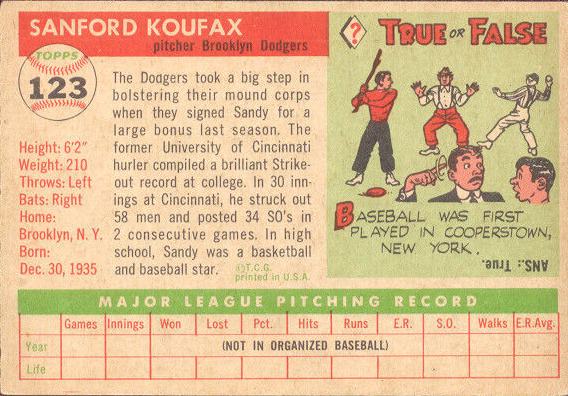 I assume it has something to do with the card not having a number. Thanks.